There’s an epidemic of geeky birthday and wedding cakes going around. Two of them made the top ten at Digg this weekend! 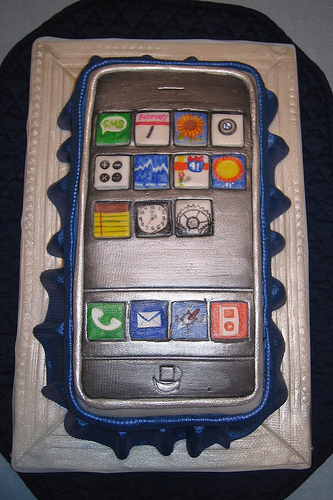 Check out this iPhone cake Flickr user icruise received for his recent birthday. But thats just the beginning! There’s a cake for every gadget. Most of them seem to be “Apple” flavored. 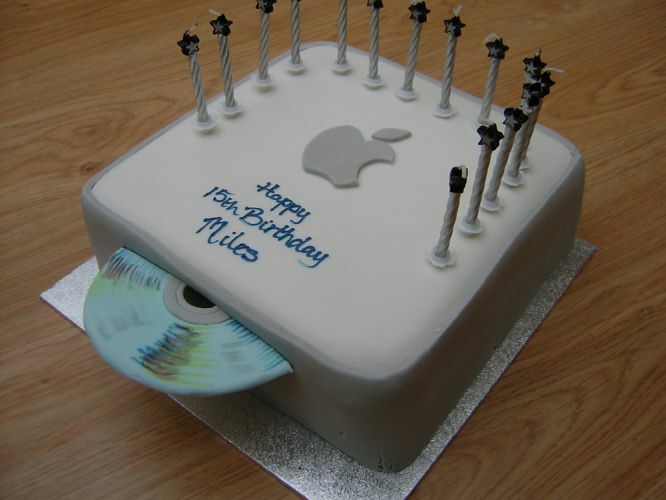 Mac Mini Birthday Cake. This was for Miles’ 15th birthday. Yeah, he got a Mac Mini, too! 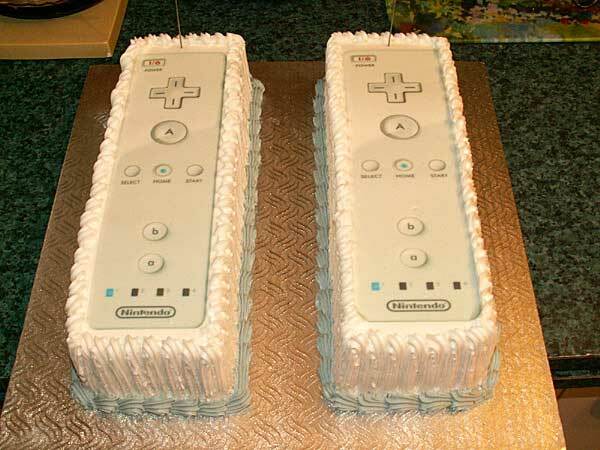 Wii Cake. I’m not sure where this originated. I’ve seen it several places. 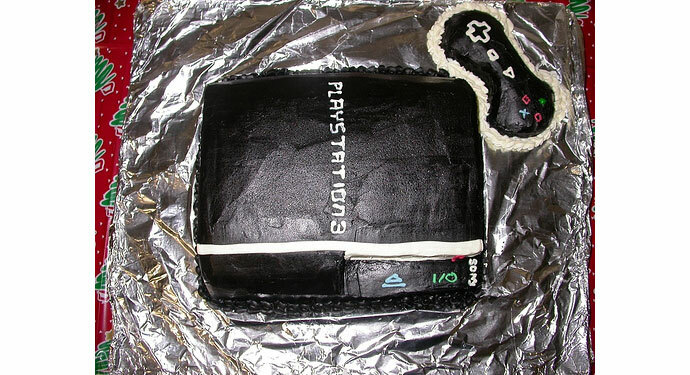 Playstation Cakes. Looks like these are groom cakes. 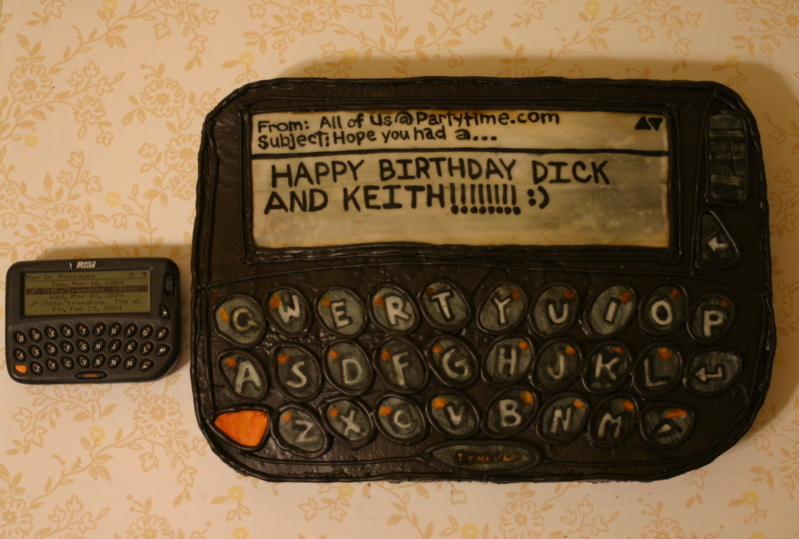 this Blackberry Pager Cake. See more of her cakes here. 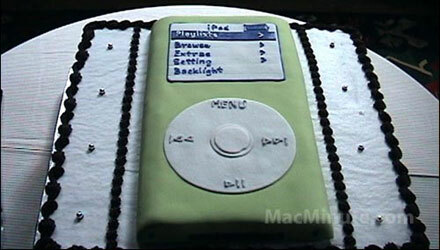 iPod Wedding cake. This was Adam Mull’s groom's cake when he got married in 2004. The commemorative Apple I cake. With directions. 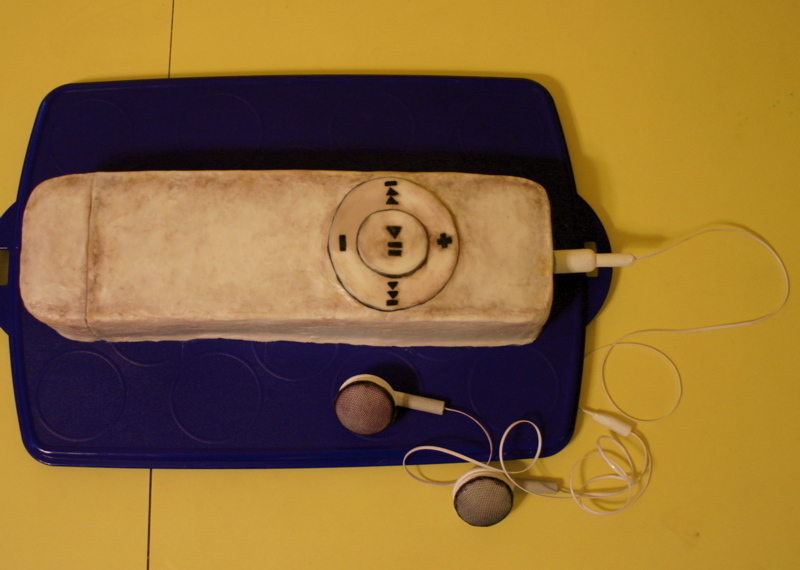 Apple has a gallery with even more of the finest geek cakes. Now excuse me, I must go get a cup of coffee and a bite of something sweet. said redtune on April 4, 2009 3:10 PM.